When Dorothy “Dottie” Metcalf-Lindenburger tells students to reach for the stars, she means it literally. ... Metcalf-Lindenburger, who taught five years in Vancouver, Wash., completed astronaut training in 2006. She is a member of NASA’s Teacher in Space program and visits schools to inspire teachers and students to think more about space, science, math and technology. The Teachers in Space program is working with many new spaceflight companies to make sure that teachers are among those who have a chance to go. As a new age of opportunity unfolds, who better than teachers to lead the way? 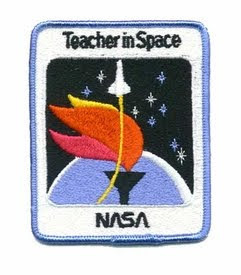 Unlike NASA's Educator Astronaut program, which takes teachers out of the classroom to join the NASA astronaut corps, Teachers in Space will allow teachers to “keep their day jobs.” Training will take only a few weeks; and many teachers will be able to complete the program during school breaks which will eliminate having to take time away from the classroom.